What makes a good DBS Umbrella Body? Here are some of the key considerations to help organisations decide which DBS Umbrella Body will work best for them. When looking to undertake employment checks on staff, there is often a decision to be made on the type of DBS Umbrella Body. You should always look for an organisation that can offer the solution you want. As with any sector there is quite a lot of choice and a great deal of variation in the services on offer. 1. Is personal information kept safe? If you are choosing to use an DBS Umbrella Body to submit your employee applications, it is good practice to ensure they have secure and robust IT systems that can handle the requirements of processing extremely sensitive data. Most reputable organisations should have an ISO 27001 registered ‘Information Security Management System’, or an equivalent system, inspected by an external organisation. This ensures that they take information security seriously to protect applicant data, and their IT infrastructure is externally audited. The inspecting body should be UKAS registered, as any other registering body is not approved by the UK government. 2. Is full guidance provided at the point of need? As part of the process the applicant or the employer have to enter detailed information on to the application form. Is guidance provided when completing the form to ensure that the information entered is correct and highlight any errors, omissions or mis-matching data? The ID documents submitted must meet the DBS requirement in order to verify an applicant’s ID . When checking original ID documents does the DBS Umbrella Body confirm the common security features for that document, or how to spot a potentially fraudulent document? Does the system check that the data on the ID documents match the form information? This can often be the difference between following a DBS compliant process and a non-compliant process. This can also help to avoid mistakes with the number of documents or the validity of the information. 3. Are there any registration costs or other hidden fees? Look at the full cost per application including any registration, set-up or additional fees that may not be obvious when opening an account. Purchasing blocks of application credit could lead to your money sitting idle in the Umbrella Body’s account. 4. How much of the process are you required to undertake yourself? How much work does the DBS Umbrella Body actually do? You are paying a registered DBS Umbrella Body to carry out your checks so make sure you are getting value for money. Most good Umbrella Bodies are commercial organisations and understand the need to give the best service. You want to reduce the resource burden put on you or your staff in obtaining checks for employees. Look for a company who takes the process off your hands or does the majority of the work load, but keeps you informed about the progress of your applications. 5. What additional support is available? Does the organisation offer a helpdesk that can answer questions about the process or give you an up-to-date progress report? 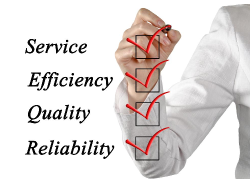 It is often important to have a friendly and experienced Customer Service Team available via email and telephone. They can answer questions or provide guidance on any aspects of DBS checks and the process. This includes the applicants as well as Clients. Can the systems in use be tailored to your organisation, to provide the service that matches your requirements? Most established Umbrella Bodies should have a flexible service that can be matched to the policies of the Client. The DBS checking industry is now 12 years old (at the time of writing) and so Umbrella Bodies should be able to offer a bespoke service to Clients, based upon their preferences. 6. Does the service include a follow-up process? Submitting an application to the DBS is only part of the process. Ensuring that the applicant can and does complete the form, has the required documents, or has answers to any questions they wish to ask before proceeding is also important. Check to see what the DBS Umbrella Body offer as many do not provide this service and simply await the submission of a completed application form. Once the application has been submitted to the DBS, is there any follow-up to make sure they have received it, respond to any queries they have or ensure they operate within the Service Level Agreements? In June 2013 the DBS and Local Police Forces reported large back-logs of applications as they adjusted to some legislative changes. Without this chasing service by the Umbrella Body, applications would have to be tracked manually by the Client and Escalated directly at the DBS. A good Umbrella Body service should undertake this process on behalf of the Client and without the need to be prompted. 7. What Management Reports or additional features are offered? If an employer is processing numerous checks, it is important to keep track of the applications in progress and feel in control of the data. Management Reports allow applications to be tracked, sorted and information filtered as required. An easy to use dashboard is a great feature to see an overview of your live applications. The management of applications should not finish when the results are returned by the DBS. Does the chosen Umbrella Body provide notification of rechecking, built around the policies of the client organisation? 8. Are the applications being submitted via eBulk (online submission to the DBS) ? To use an eBulk connection, a DBS Umbrella Body must be processing more than 1500 checks per annum. This process involves setting-up a connection to the Criminal Justice eMail Network, completing a Code of Conduct document, an eBulk deed and some in-depth testing of IT systems to ensure they meet with the DBS’ strict criteria. If your chosen Umbrella Body is not an eBulk user they may be submitting applications via post and not benefiting from the online submission of information. 9. Do you need to use a DBS Umbrella Body? If you are submitting more than 100 checks per year you can process your own paper applications only, directly with the Disclosure and Barring Service. All you need to do is register with the DBS directly, pay your £300 application fee, register your Countersignatories (these are the people who will check original ID documents and sign the declaration on the forms) and put in place your policies, processes and systems to get the job done. Using a good DBS Umbrella Body takes all this workload off your hands. You can then concentrate on who needs a check and the results. No DBS Umbrella Body can guarantee to return results of a criminal records check within a set number of days! The DBS are a branch of the Home Office and do not give preference to any organisation over another. The aim of every Umbrella Body should be to ensure the DBS receive an accurately completed application as soon as possible, to ensure the DBS can run the required checks against their information sources. The best organisations will also be able to provide an audit trail to confirm that it has been done!